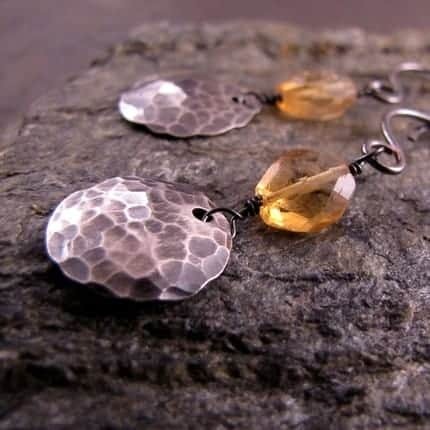 Blue Moose Creations is an Etsy shop owned by Alaskan mom, Challene, where you can find beautiful handmade jewelry. Challene loves using sterling silver, copper, gemstones and pearls in her pieces and prides on her attention to detail and quality work. Blue Moose Creations carries a wonderful selection of earrings and necklaces and I bet it will be hard for you to pick a favourite. I know it was for me! As you know, I have a great fondness for gemstone jewelry which is why I was in absolute heaven looking around Blue Moose Creations. Check out the vibrant blue in these Tanzanite Blue Opal Chalcedony Earrings aptly called Rain Drops! You can really tell that Challene loves her job as she puts her whole heart into her work. When you love what you do, can you really call it “work”? Challene sent me a pair of her favourite earrings to review. 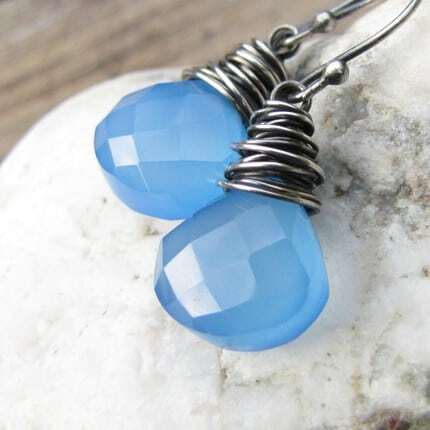 They are made from Sterling Silver with Apatite Rondelle Gemstones. They are so pretty!! I love the blue in the stones and the way they glisten in the light. They are simple, yet elegant and look really nice with a light blue t-shirt or my blue summer dress. I can see why they are Challene’s favourite!! Discover all the lovely jewelry at Blue Moose Creations today! I follow via GFC as Jenny Bolech! I follow blue moose via GFC as Jenny Bolech! I like blue moose on facebook as Jenny bolech! I joined the blog frog community! I like the Jasmine Necklace – Labradorite, Mystic Fanta Quartz, Brazilian Amethyst with a Sweet Jasmine Charm. 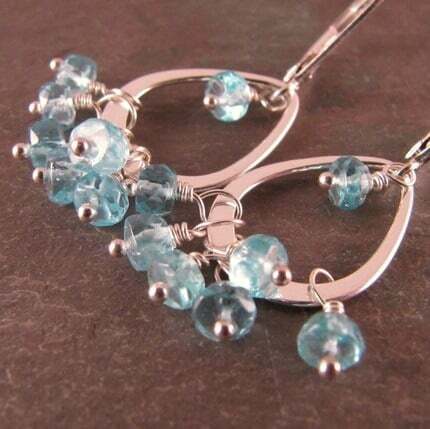 I like the Bermuda Blue Swarovski Crystal Pendant Necklace on Oxidized Sterling Silver! My favorite is the Willow Rose – Black Onyx and Garnet Earrings on Sterling Silver. I love the Peach Moonstone Briolette Earrings on Antique Copper. I posted about the giveaway on my blog: http://conbdebelleza.blogspot.com/2010/06/junio-ha-llegado-cargadito-de-sorteos.html (you can use the Google Traductor button on the right to traduce it). I also like Blue Moose Creations on Facebook (username: Gabriela Luzon Castillo). I follow Blue Moose Creations on Twitter (username: ConBdeBelleza). I have your new button on my media page (glengarrygardenns). I like the moon glow earrings. I like the Amethyst hoop earrings wrapped in Sterling Silver. 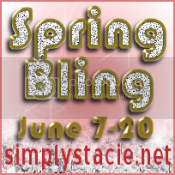 The Diamonds Are a Girl’s Best Friend-AAA Crystal Quartz Necklace Sterling Silver is my favorite item.